If you want to find a quality gold seller in Greensboro NC, here are some places that you can check out for yourself. Buying gold has never been an easy affair and you always have to be on the lookout for fake gold dealers. You need to find a reliable and state authorized gold dealer who will not give you plated or gold-filled jewelries or other gold items that look as if they are genuine gold. Here are some of the more trusted stores that you can go to if you want to be sure of what you are buying in Greensboro. Ashmore rare coins and metal has been in the gold buying business since 1987. They have been a wholesale dealer of precious metals for more than 25 years and are well known for buying from Jewelers, gold dealers, and pawnbrokers across the state. The owner of ashmore rare coins and metal has personally stated that he consistently pays the most for gold, platinum, and silver in the area. The Second Hand Cash offers you a vast array of precious metals jewelries since they themselves buy second hand jewelry as well. You can choose from old to new designs also designer stuff as well. They also sell gold coins if that is what you are looking for. 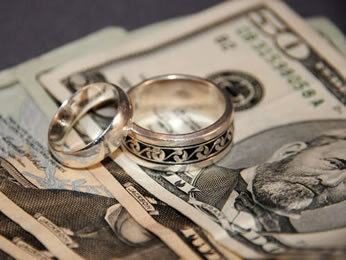 They have a courteous and professional staff who will educate you all about buying gold and gold items. You can also trade gold items with them if you prefer. All of the transactions in the store are videotaped and they submit pertinent documents to the state as well hence you can rest assure that they are legal metals dealers. The Gold-N-Silver Shop is just what their name states. You can shop for endless types of designs in gold jewelries and even whole estate collections for your own enjoyment. Their location is on a very secure spot in the area and they also have a comfortable ambiance for their clients. They are a family-owned and operated company and so you can expect the warm hospitality that is common with locally owned companies. This store operates by buying second hand items from their customers and then selling them after being repaired. So you can be sure to find a wide variety of designs that will fit your needs. They also have a collection of gold coins for you to choose from if you prefer investing in coins. They have a large collection due to their big buying capacity. In both these stores, you would need to submit sufficient documents to comply with state rules and regulations. Aside from the usual age requirement, you would also need to submit a valid identification which they in turn will submit to the government. 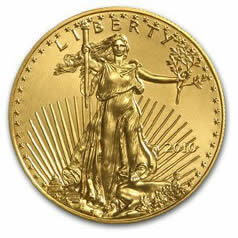 Coin collecting with gold proof coins can be an effective way of investing your money in gold. Placing your money in gold is a good way of preserving and even increasing the value of your money for the years to come. Since gold is one of the commodities in the market which continue to improve their value, it is only a matter of common sense to invest in this precious metal. There are a lot of reasons for investing in gold and beauty is one of them. Those who are in the lookout for excellent specimens for a recently released gold coin may often opt for the proof type of coins which have a much clearer outline of the coin’s design and also a mirror like effect which is much preferable if you like to collect coins with an excellent form. Although these proof coins actually costs a lot more than the regular or bullion types, there is a something more special when you buy gold proof coins. They are made from specially made blank coins which are manually fed to a press which has a special die made for proof coins. Some dies are also especially made for proof type of coins which adds to the cost of production since they would need to make another die. They are pressed repeatedly about three or four times in order to get that mirror like effect on the coin. This is one of the reasons why proof coins actually cost much more than the bullion types. The cost of producing these coins help increase the price of the coin whereas it also contains the same amount and karat of gold as the normal ones. Proof coins are usually bought by gold coin collectors who can afford to spend that much on a same coin which only is made with a more detailed process and also a better blank. But although the designs are just the same, the quality of the image is much better in a proof coin. This is why most precious metal coin collectors will prefer the proof type rather than the bullion type. It is for the image in the coin and its quality which they are after and not on the actual gold itself. This characteristic of the coin also helps increase its selling value which although may not match for its increase value due to gold content, may be an leverage factor in buying such a coin. 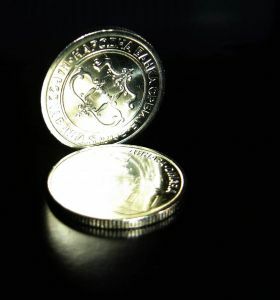 The limited numbers of proof coins that are produced make them also much expensive to buy even when they are bought second-hand. Some mints produce only about a hundred making their scarcity a determining factor in pricing the coin. Aside from this, proof coins are also packaged differently than the normal ones being packed in individual cases made from either leather or wooden boxes, giving a good way of showcasing the coin for your friends and relatives. Either way, if you are buying gold coins to enjoy their design, proof coins would be the best way of getting them.